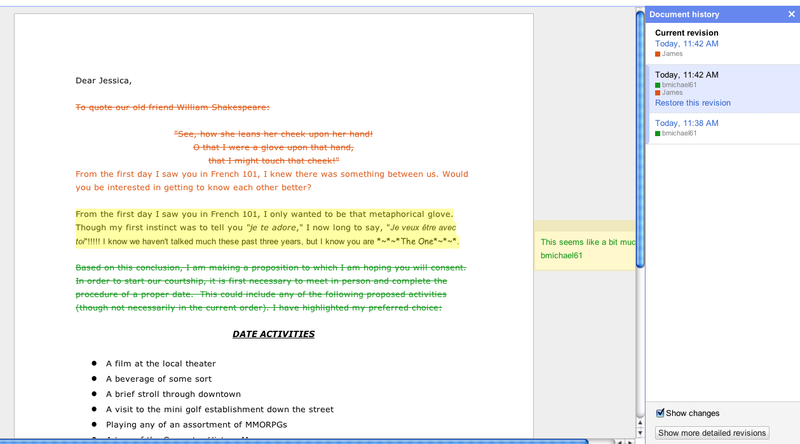 We’ve also made it easier to anticipate the changes other real-time co-editors are about to make in Google documents. Text that another editor is selecting is highlighted, so you’ll know if someone may be about to delete or drag that block of text. In addition we’ve recently added six new web fonts in Google documents: Droid Serif, Droid Sans, Calibri, Cambria, Corsiva, and Consolas. These web fonts are stored in the cloud rather than on your particular computer, so you aren’t limited to the set of common fonts that most people have installed on their computers. In Google Spreadsheets, we’ve improved the import function with more options for your imported data. For example, when importing a .csv file, you can create a whole new spreadsheet, append data to the current sheet, add a new sheet to your existing spreadsheet or even replace your entire spreadsheet with the data you’re uploading. 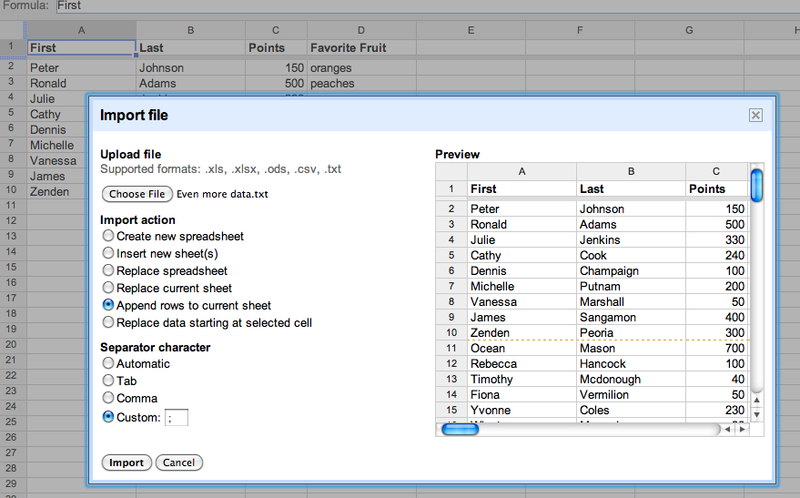 We also added a preview pane so you can see how the imported data will look in your spreadsheet. Google spreadsheets also now has in-cell dropdown and data validation. This makes it easy to constrain the values of an individual cell to a specific range or list, reducing unnecessary typing and data entry errors. For example, if you are planning a business trip, you can limit the options in the travel destination column to only allow a certain set of city names. You can create dropdown options in individual cells through the data validation tool, which lets you pull data from a range of cells in your sheet or by creating a custom list. For more information on data validation and in-cell dropdowns in Google spreadsheets, head to the Google Docs blog. Lastly, Google spreadsheets now offers new printing options including selection printing, which lets you print a highlighted area in your spreadsheet, and the option to not print the cell gridlines if you want to save on ink. 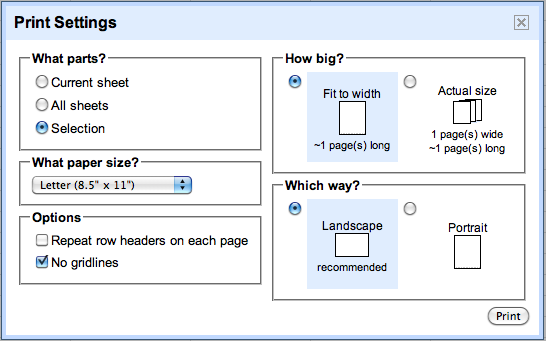 Organizing your site’s hierarchy of pages is an important part of using Google Sites. To make it faster and easier to change the structure of your site, now you can drag and drop pages to change the hierarchy. As with all updates in Google Apps, users get access to new features each time they open their browsers, and improvements roll out to customers with no need for administrators to manage patches or install software. Stay tuned for more updates to Google Docs and Google Sites. Over the last few weeks, we launched some exciting new updates that make it even easier for business users to create and collaborate on to Google Sites, Google documents, and Google spreadsheets. In Google documents, we launched a new revision history interface which lets you easily see what changes have been made to a document. Changes are color-coded based on each collaborator, so it’s clear who did what. You can click on a time stamp in the right column to see what changes were made at a given time, or use the arrow keys to quickly scan through many revisions. To learn more about revisions history, see the Google Docs blog.
. To make the transition as smooth as possible, we thought we’d share some tips on using Gmail. to help you cope better with lots of information. While most Gmail users find that these features save lots of time, naturally there are people who want to keep using email in more familiar ways. That’s why we launched alternatives like Microsoft Outlook® synchronization, native BlackBerry® integration and IMAP support. More choice helps people move to the cloud more quickly. We really hoped everyone would learn to love conversation view, but we came to realize that it’s just not right for some people. So today we’re introducing another valuable choice. Users who prefer a traditional inbox can toggle off conversation view to see email as individual messages in chronological order. Some actions commonly associated with unthreaded email can be accomplished with searches in Gmail, so check out our tips on advanced search operators. Over the next few days, we’ll be rolling out conversation view settings to users in organizations with the “Enable pre-release features” option selected in the Google Apps control panel, and to individuals using Gmail. Whichever side of the debate you’re on, we hope we’re continuously making Gmail more useful to you. For more information about migrating from common legacy solutions to Google Apps, see our resource pages for Microsoft® Exchange and Lotus Notes®, or contact our sales team. 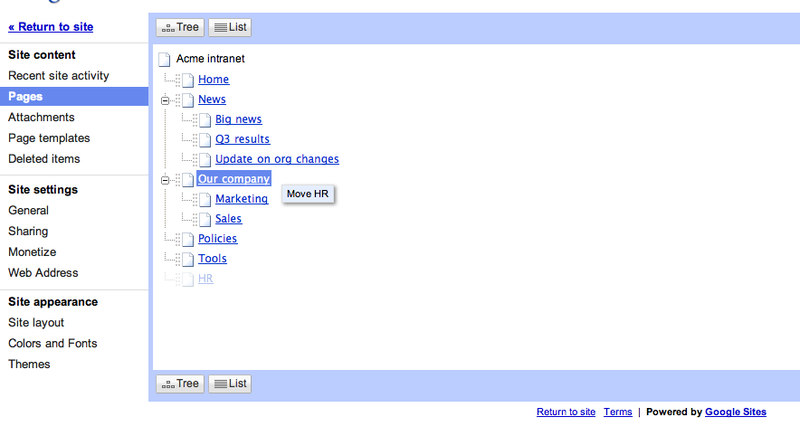 We didn’t build Gmail to work like all the other email options out there. We launched with a full gigabyte of storage per person (now 25 GB for business users), lightning fast search, labels instead of folders, and newer improvements like Priority Inbox to help you cope better with lots of information. While most Gmail users find that these features save lots of time, naturally there are people who want to keep using email in more familiar ways. That’s why we launched alternatives like Microsoft Outlook® synchronization, native BlackBerry® integration and IMAP support. More choice helps people move to the cloud more quickly. new editors for documents and spreadsheets on Google Docs, built on a code base designed to improve collaboration and take advantage of the latest advances in modern browsers. These applications support up to 50 simultaneous editors, and documents let you see other people’s changes character-by-character as they type. This week we wanted to share a series of posts on the Google Docs blog that dive into the collaboration technology behind Google Docs. In the first post, we look at the challenges encountered when building a collaborative application. The second post describes how Google Docs uses an algorithm called operational transformation to merge edits in real time. Lastly, the we end the series with a deep dive into the collaboration protocol for sending changes between editors in a document. Together, these technologies create the character-by-character collaboration in Google Docs. These improvements to Google Docs are designed to help businesses like yours move to the cloud faster and be more productive than ever before. If you've never tried our web-based documents, spreadsheets and presentations, you can instantly take a test drive at docs.google.com/demo. Earlier this year, we launched new editors for documents and spreadsheets on Google Docs, built on a code base designed to improve collaboration and take advantage of the latest advances in modern browsers. 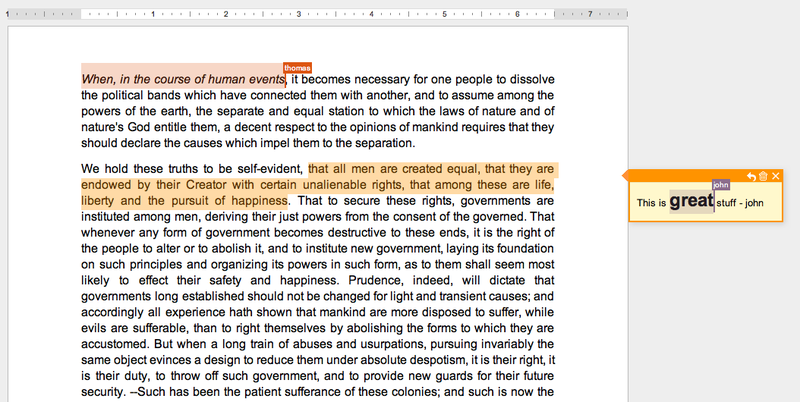 These applications support up to 50 simultaneous editors, and documents let you see other people’s changes character-by-character as they type. the Google Apps Marketplace with the goal of helping businesses find even more value in the cloud. Universities and schools are also moving aggressively into cloud computing for both internal infrastructure applications and apps for students. We have seen excellent uptake by education edition users of a wide range of apps, including Aviary, Manymoon, SlideRocket, SurveyMonkey, TripIt, OffiSync, and Sherpatools, just to name a few. The introduction of Grockit is our most recent step to help schools and universities discover and deploy relevant applications from our Marketplace. Grockit is a social learning platform for students in K-12 and for college entrance exams. They were eager to join the Marketplace because of the 8 million students that currently use Google Apps. Through Grockit integrations with Apps, students can now easily access their Grockit account through the universal navigation bar, sync training sessions with Google Calendar and store critical documents in Google Docs. "The response from School Administrators has been outstanding. Each day we are contacted by a new school that is thrilled Google has begun adding educational apps to the marketplace and they have access to Grockit’s learning platform through it. They are already asking how they can make Grockit available to their students beyond this school year. We are stoked that educators see the additional value they provide their students when they are able to combine the benefits of Google and Grockit together." We started the Google Apps Marketplace with the goal of helping businesses find even more value in the cloud. Universities and schools are also moving aggressively into cloud computing for both internal infrastructure applications and apps for students. We have seen excellent uptake by education edition users of a wide range of apps, including Aviary, Manymoon, SlideRocket, SurveyMonkey, TripIt, OffiSync, and Sherpatools, just to name a few. Google Message Security (GMS) was was selected as the Gold award-winner of the “Messaging Security Products” category by the readers of Information Security magazine and is featured in the September issue. In addition, GMS was the top-rated product across all 12 categories that were evaluated, earning GMS the 2010 PilotHouse Admiral Award. At Google, we focus intensely on the user experience, so we are especially proud to receive these awards that are voted on by security and technology experts who are Google Message Security users. 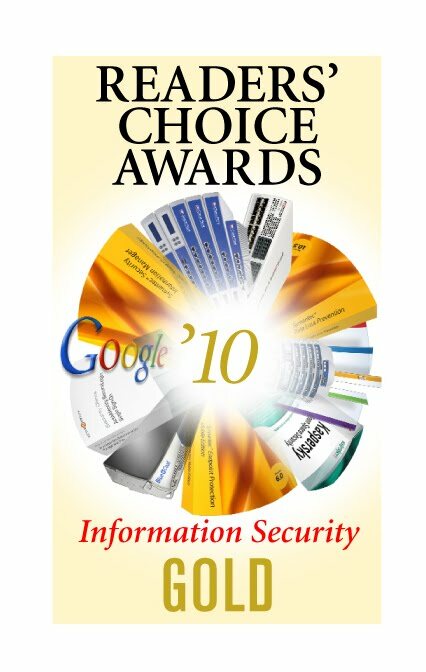 Thanks go to Information Security magazine, Nemertes Research and especially to the many users who voted for Google Message Security. We'd also like to congratulate our fellow nominees and award-winners and acknowledge their contributions to the field of online security. for our users, today we are pleased to announce support for OAuth authorization on Google Apps APIs. OAuth is more secure: OAuth tokens can be scoped and set to expire by a certain date, making them more secure than using the ClientLogin mechanism. OAuth is customizable: Using OAuth, you can create tokens that scripts may only use to access data of a particular scope when calling Google Apps APIs. For instance, a token set to call the Email Migration API would not be able to use your login credentials to access the Google Apps Provisioning API. OAuth is an open standard: OAuth is an open source standard, making it a familiar choice for developers to work with. OAuth support for Google Apps APIs is another step towards making Google Apps the most secure, reliable cloud based computing environment for organizations. To learn more about OAuth support and other administrative capacities launched in Google Apps this quarter, join us for a live webinar on Wednesday, September 29th at 9am PT / 12pm EST / 5pm GMT. Administrators for Google Apps Premier, Education, and Government Editions can use OAuth authorization for Google Apps APIs starting today.For more information about the OAuth standard, visit http://oauth.net. Google Apps is designed to provide a secure and reliable platform for your data. Until today, Google Apps administrators had to sign requests for calls to Google Apps APIs using their username and password (this is called ClientLogin Authorization). Yet sharing passwords across sites can pose security risks. Furthering our commitment to make the cloud more secure for our users, today we are pleased to announce support for OAuth authorization on Google Apps APIs. to test drive life in the cloud. To highlight some of these companies’ Gone Google stories, we decided to talk to Google Apps customers across the United States. Check back each week to see which state we visit next. To learn more about other organizations that have gone Google and share your story, visit our community map. team at Shop.org’s Annual Summit, held in Dallas, Texas from September 27 - 29. If your organization plans to attend the show, be sure to visit Google in Booth #120 and attend the Big Ideas session Wednesday at 12:45 PM featuring Nitin Mangtani of Google Enterprise, who will be speaking about search insights for today’s e-commerce technology. The Google Commerce Search team will be joined by Product Search, AdWords, and the Google Affiliate Network. We can’t wait to show you the many different ways we can help your business. Did you know that a user spends an average of just eight seconds on a website before deciding whether to stick around (Marketing Sherpa)? If you’re an e-commerce site, this means you have to be faster than Usain Bolt - the world record-holder for the 100m dash. Next week, find out how Google can help you capitalize on those eight seconds and improve your online shopping experience. Visit the Google Commerce Search team at Shop.org’s Annual Summit, held in Dallas, Texas from September 27 - 29. As part of our Going Google Everywhere series, today's guest blogger is Mark Steward, IT Director at Baird & Warner. Learn more about other organizations that have gone Google on our community map. Family owned and operated since 1855, Baird & Warner is the oldest residential real estate brokerage in the nation, with 26 branch offices servicing more than 300 communities throughout northeastern Illinois. Baird & Warner provides a full range of services for consumers including residential sales, financial services, title services and home services. Having been in business for as long as we have, our company has gone through a lot of disruptive changes, not just dramatic market shifts like the current downturn, but also the emergence of new technologies. Over the years we’ve shifted from desktop phones to mobile phones, and more recently, from on-premise IT solutions to the Web as a platform. In IT, we are constantly reevaluating which tools will best support our Realtors® in the field, and administrative staff back at our headquarters in Chicago. Earlier this year we began looking at how we could improve our e-mail and messaging system. Because of the nature of our business, the majority of our employees are highly mobile and independent. These 1,600 agents operate as islands, and depend on mobile devices to do their work from any location. To support them, we had been using a Microsoft Exchange alternative called Kerio that uses the Outlook client and provides a Webmail product, but we began to see performance issues and maintaining the infrastructure was becoming increasingly costly. We began to look at alternatives. We needed a messaging solution that could grow with us for the long-term and that would work well for all employees, but we were also were feeling cautious because of the economy. We didn't want to take a huge risk. Since I've been a Gmail user since it was in beta, I had been keeping my eye on Google Apps and how its enterprise offerings have grown. My positive experience with Gmail helped me to narrow our choices down to Google Apps and Hosted Exchange. After running a cost comparison, the choice became pretty clear. Since Google Apps takes care of maintenance and software updates, the value proposition for a company of our size is pretty substantial. We chose Apps for its capabilities, but the fact that we saved a substantial amount of money over Microsoft Exchange was a nice bonus. To help us make the transition, we brought in Cloud Sherpas, a Google authorized reseller since 2008. Cloud Sherpas provides a full suite of migration, deployment, and training services for Google Apps, which made it much easier for us to get up and running. The company also offers tools through the Google Apps Marketplace that help IT administrators better manage Google Apps. Clouds Sherpas did all the setup and configuration of Google Apps and trained us on how to migrate our old mail, contacts and calendar data. After we learned the processes, we migrated the rest of the company. They also provided train-the-trainer services and webinar training for our remote offices. This was critical for us because some users had never used web-based email, so transitioning them to a new way of working took extra time but was critical for our success. Cloud Sherpas provided specialized training for Outlook users, and gave a step-by-step process for learning to do the same tasks in Gmail. We initially deployed Gmail, Calendar and Chat. We currently have a small team reviewing our existing intranet and determining how we can migrate it to Google Sites and Google Docs in the future. For now, however, we are already seeing a host of benefits just from migrating our messaging system. Improved mobile access to email is a big win for us. From a cost perspective, with Google Apps there is nothing additional that we need to do, buy or maintain to enable mobile devices. It just works straight out of the box on virtually any mobile device that our employees care to use. Previously, we were using IMAP to enable mobile e-mail. Unfortunately, it wasn't real time, which is critical in our business. Now, our agents in the field get real-time push email and access to their entire mailbox from their mobile devices. Beyond better mobile email access, faster performance and infrastructure cost savings, we’re also pretty happy about not having to spend any time maintaining and upgrading our messaging systems. What's equally important, however, is that our employees like using Google Apps. The new tools have eliminated their number-one problem, which was wasting time managing a small inbox. Whereas before they only had 100 MB of space, with Gmail, they get up to 25 GB of storage. There's really no need to ever clean out your inbox now. Our Realtors® drive our business, and we need to give them the tools that allow them to be more productive on behalf of their clients. Because if they're happy, we're happy. Editors note: As part of our Going Google Everywhere series, today's guest blogger is Mark Steward, IT Director at Baird & Warner. Learn more about other organizations that have gone Google on our community map. Tomorrow, Tuesday, September 21, 2010 at 2:00 p.m. EDT / 11:00 a.m. PDT / 6:00 p.m. GMT. Wentworth Property Management Corp is a large property management company made up of over 40 offices specializing in security, rental and homeowner’s insurance, concierge, cleaning and real estate services. Keeping all those offices and people connected and maintaining all of their Exchange servers became very difficult and very expensive. Wentworth needed an easier -- and less costly -- way for its employees to stay connected and to continue to scale as company continues to grow. The answer? Google Apps, which has already proven an invaluable tool for helping geographically distributed teams more easily coordinate their efforts. 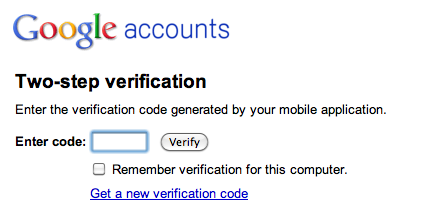 Two-step verification is easy to set up, manage and use. When enabled by an administrator, it requires two means of identification to sign in to a Google Apps account, something you know: a password, and something you have: a mobile phone. It doesn’t require any special tokens or devices. After entering your password, a verification code is sent to your mobile phone via SMS, voice calls, or generated on an application you can install on your Android, BlackBerry or iPhone device. This makes it much more likely that you’re the only one accessing your data: even if someone has stolen your password, they'll need more than that to access your account. You can also indicate when you're using a computer you trust and don't want to be asked for a verification code from that machine in the future. Administrators for Google Apps Premier, Education, and Government Editions can activate Two-step verification from the English version of the Admin Control Panel now, and Standard Edition customers will be able to access it in the months ahead. Once enabled by their administrator, end users can set it up in the Accounts tab in Gmail settings. Over the past couple months, thousands of businesses have added their Gone Google story to our community map and even more have used the Go Google cloud calculator to test drive life in the cloud. To highlight some of these companies’ Gone Google stories, we decided to talk to Google Apps customers across the United States. To learn more about other organizations that have gone Google and share your story, visit our community map. We’ve invited Brent Hoag, Vice President and Chief Information Officer, of Diversey to tell readers about their recent recognition as one of InformationWeek’s most innovative users of business technology. Diversey, formerly JohnsonDiversey, is headquartered in Sturtevant, Wisconsin. With sales in more than 175 countries, Diversey is a leading global provider of commercial cleaning, sanitation and hygiene solutions, serving customers in the building management, lodging, food service, retail, health care, and food and beverage sectors. Diversey, Inc. is committed to a cleaner, healthier future. Its products, systems and expertise make food, drink and facilities safer and more hygienic for consumers and for building occupants. This week, InformationWeek announced its annual listing of the nation’s 500 most innovative users of business technology. We’re proud to report that Diversey was recognized as being among the top 10 U.S. manufacturers for its innovative and environmentally efficient cloud computing strategy – the foundation of which is Google Apps. The use of Google Apps for email, collaboration and calendar helped Diversey reduce its carbon dioxide emissions by 73 metric tons or the equivalent of taking roughly 15 passenger vehicles off the road. In just one day, the company migrated 14,000 accounts to Google Apps in more than 60 countries and 18 languages. Since implementation in May 2009, employees have changed the way they communicate with other employees and customers. Google Apps’ cloud-based e-mail, calendars, documents and sites have improved the quality, consistency and effectiveness of communication and allows for business continuity in the event of a disaster. The company’s migration to cloud computing was the result of a corporate-wide commitment to find more sustainable and efficient ways of doing business. Diversey’s cloud-based technology platforms allow for a collaborative working environment and helps maintain business continuity. It also reduced the company’s carbon footprint by eliminating up to 10 company servers and by decreasing the need for business travel and the purchase of redundant hardware and software. Diversey’s commitment to sustainable IT is another example of our environmental leadership and our passion for finding new ways to reduce the environmental impact of our operations globally. In Google, we’ve found a good partner in the sustainability movement, and look forward to continuing to meet and exceed our sustainability and innovation goals together. Editor’s note: We’ve invited Brent Hoag, Vice President and Chief Information Officer, of Diversey to tell readers about their recent recognition as one of InformationWeek’s most innovative users of business technology. Diversey, formerly JohnsonDiversey, is headquartered in Sturtevant, Wisconsin. With sales in more than 175 countries, Diversey is a leading global provider of commercial cleaning, sanitation and hygiene solutions, serving customers in the building management, lodging, food service, retail, health care, and food and beverage sectors. Diversey, Inc. is committed to a cleaner, healthier future. Its products, systems and expertise make food, drink and facilities safer and more hygienic for consumers and for building occupants. With the rapid adoption of Internet-enabled mobile devices, employees increasingly seek access to their email, documents, and other corporate data from their mobile phones. In addition, employees are bringing their personal smartphones to work or carry multiple devices creating new challenges for IT administrators. Join me next week for a live webinar where we will share our vision of enabling mobile workers with easy access to information anywhere, anytime. You’ll also learn about the various mobile applications and recent innovations. We’ll also highlight support for Google Apps on mobile devices and also discuss the various tools that are available for IT administrators to manage Google Mobile products for businesses. Register to attend the live webinar on 9/23 @ 10am PST / 1pm EST / 5 pm GMT. We hope to see you there. in Atlanta, GA from September 15-17. The ISSA is a not-for-profit, international professional organization of information security professionals and practitioners. It promotes management practices that will ensure the confidentiality, integrity and availability of information resources. This year more than 500 IT and security professionals will gather under this year’s theme of “Connect and Collaborate”. Eran Feigenbaum, Director Security for Google Enterprise wil be delivering a keynote presentation entitled “A New Security Model in the Cloud” on Thursday, September 16th, at 12:40 PM. If you'll be at the conference, please join us for Eran’s session. If you’re not going to be at the conference, you can find more information on the security and privacy of data in Google Apps. This week the Google Enterprise team is excited to be participating in the Information Systems Security Association’s (ISSA) International Conference in Atlanta, GA from September 15-17. The ISSA is a not-for-profit, international professional organization of information security professionals and practitioners. It promotes management practices that will ensure the confidentiality, integrity and availability of information resources. This year more than 500 IT and security professionals will gather under this year’s theme of “Connect and Collaborate”. As part of a new series, “Gaining Altitude,” we’ve invited well-known productivity experts and thought leaders to provide their perspectives on managing information overload and tips for success in a world where real-time communication and overflowing inboxes have become the norm. This week we've invited Douglas Merrill to give his perspectives on productivity in the cloud. Dr. Douglas C. Merrill is the author of “Getting Organized in the Google Era: How to Get Stuff Out of Your Head, Find It When You Need It, and Get It Done Right”, a book on personal and workplace organization. Douglas is also the Founder & CEO of ZestCash - a financial services technology company committed to serving the underbanked - and was previously CIO and VP of Engineering at Google. Prior to Google, Douglas spent time at Charles Schwab, Price Waterhouse, and RAND Corporation. He has a Ph.D. in Psychology from Princeton. We are drowning in new information. For example, during the time it's taken you to read this far, people around the world have sent enough email to fill about 10,000 hardcover books. However, the main barrier to getting organized is nestled between your ears: your brain. It weighs about three pounds -- roughly the same size as a roasting chicken. Your brain is amazing. You can recognize a person's face when you can only see their nose. Pretty cool, yes? But your brain has limitations. You can't consciously remember more than about 9 items. To remember more items, you need to stick them into long-term memory and tag them with cues that you will use later to find the information. When you need the information you've learned, you "ask" your long-term memory by looking for information with matching tags. But it's hard to predict what you will need a bit of information in the future. If you can't predict its use, it's hard to tag the information as you store it. This is why filing doesn't work well. You mark a manila folder with a couple of words when you store it. However, since you can't be sure what you will use the information for, you don't know which words are best. This is why many of us have drawers full of manila folders, all totally unused. We didn't mark them with the right tags, and so they aren’t stored where we actually need them to be. The same is true with email folders -- generally, people stick email in folders and never see them again. Given how much information we face, and how much help our brains need to store it all, we need tools to help us. Enter Gmail. When you use Gmail, you leave your email in your Inbox and use search to find it. Instead of trying to guess what you'll need the email for later, so you can tag the email correctly, you just ask Google to find it for you. Even though you search for your email, it still helps to tag them to improve your searches. Gmail will do some tagging automatically -- as in when it recognizes mails that seem important to you and puts them in your Priority Inbox. Additionally, you could consider building your own filters to tag your mail. Unlike manila folders, with only a word or two as tags, Gmail can tag each mail with several labels, making it more likely you can find and use the email when you need it. At the core, organization is being able to store and use information later. After all, the only reason you care about being organized is because it makes you more effective at what you are going to do tomorrow. The combination of search and email labels let you do what your brain does well -- understanding -- and helps you do what your brain struggles with -- remembering. , and we’re excited to celebrate its growth in this short time. Today, more than 4 million Google Apps users have Marketplace apps installed on their domain. In addition, there are now more than 200 integrated apps available to Google Apps users, covering customer relationship management, accounting, finance, project management, and more. Almost every week, third-party applications are joining the Apps Marketplace to address an expanding range of business needs. A social platform for learning that provides students with collaborative, real-time study rooms and relevant coursework to achieve various educational goals. An employment platform that offers talent-hungry companies instant access to qualified online workers and the tools to hire, evaluate, and compensate them. An ERP software that helps you easily manage your points of sale (POS), inventory, relationships and billing by providing real time information. A dropbox for Google Apps that bi-directionally syncs Google Docs to Finder and Explorer, allowing a user to work seamlessly across a desktop and browser. A tool to supercharge your contacts by searching a user’s social networks to auto-populate critical information and merging it right into Google Contacts. A CRM tool to help manage your sales pipeline by overseeing deal flow, tracking leads, and running reports. Current PipelineDeals users manage a combined sales pipeline of $60 billion. A CRM tool that organizes data according to employees’ usage patterns and makes critical data available to them in the most relevant locations. Accounting software that creates and sends invoices, manages expenses, reconciles bank statements, tracks cash flow, and generates financial reports. A tool to help employees book appointments, manage billing, and track clients through a fluid interface with Google Apps. An application that supports administrative processes by automating various functions, such as purchase order approval, vacation management, and resource distribution. An internal question and answer platform for companies to help streamline the process of employee inquiries and knowledge distribution. A tool that provides transparent records management and compliance features, centralized document access control, and retention, legal holds and disposition policy management. Check out our Apps Marketplace to explore one of these new apps or the other over 200 existing apps. If you've #gonegoogle and tried the #appsmarketplace, let other users know what you recommend via Twitter or submit your suggestions for additional apps. Six months ago, the Google Apps Marketplace was born, and we’re excited to celebrate its growth in this short time. Today, more than 4 million Google Apps users have Marketplace apps installed on their domain. In addition, there are now more than 200 integrated apps available to Google Apps users, covering customer relationship management, accounting, finance, project management, and more. Almost every week, third-party applications are joining the Apps Marketplace to address an expanding range of business needs. From time to time, Google likes to highlight partners and customers who have developed interesting and unique applications using our products. Peter Rossiter is a founder and CEO of Integeo, a company whose product leverages Google Maps API Premier. With over thirty years experience in the IT industry, Peter has led many innovative commercial ventures and research projects. Location-based services have quickly become pervasive in our everyday lives and maps are now widely used as a convenient and useful visual tool to present data in ways that people can easily relate to. Business Intelligence (BI) covers a collection of techniques and tools that support an organization’s decision making process. The advent of Google Maps familiarized people with the concept of data points on a map and progressively more and more BI customers are expecting fully integrated maps and spatial analytics with their tools of choice. Seeing data in the context of its location often exposes information previously hidden in the raw data. But a tool is only useful if it’s usable. You need to focus on solving your business problems not technology. Avoiding the need for specialist programming resources is a good start followed by ensuring the BI skills of a dashboard or report designer are sufficient even if the underlying spatial analysis is quite complex. Google Maps API Premier is a solid platform for presenting a rich background context of street and satellite data for analysis of business data. The Google API also enables us to dynamically geocode address data and users can zoom to particular areas of interest using our enhanced Google Search facility. There is a lot more to visualizing data on maps than just plotting points and icons. Integeo’s Map Intelligence comes out of the box with an extensible, easy to use palette of spatial analytical functions. These enable clear and immediate perception of data relationships, groupings, classifications, patterns, trends and variations that stand out when mapped. A summary of the features of Map Intelligence can be found on our website. At the click of a button, the analytics currently being viewed by a user can be interactively viewed on Google Earth. The dynamic map layers are generated by Map Intelligence from the “facts and dimensions” in the dashboard or spreadsheet, offering the choice to either use KML (KMZ including images, legend, etc.) or a network link that will update from the Map Intelligence server whenever the user changes their Google Earth view. All the information and data relationship layers are dynamically available so that as filters are applied in the BI environment they are automatically applied to the view in Google Earth. Please visit www.integeo.com if you would like to learn more about Integeo and see why Map Intelligence is the only BI product to rank top 10 among purpose built GIS solutions (Ovum Research 2009). We offer integrated mapping analytics incorporating Google Maps API Premier as an “off the shelf” solution for users of all the major BI platforms - currently these include (but are not restricted to) BI products from Cognos (IBM), Business Objects (SAP), Oracle, MicroStrategy, QlikView, Actuate, BIRT, Microsoft Excel and SQL Reporting Services. we shared details about a big change so Google Apps accounts can start accessing dozens of Google services beyond the core suite of messaging and collaboration apps. This change will let users access many new services such as Blogger, Reader, Google Voice and calling-in-Gmail (US only), Picasa Web Albums, AdWords and iGoogle from their Google Apps accounts. This big improvement addresses 9 of the top 20 requests from customers in one fell swoop, so we’re thrilled that the new infrastructure is now open for early adopters! After accounts are transitioned to the new infrastructure, these customers will be able to tap into much more innovation happening all across Google, helping people be even more productive with a broader range of tools in the cloud. Administrators do not yet have the ability to turn off access to any of these additional services as they can today for applications in the core suite. A few applications are not compatible with the new infrastructure at this time including Google Health, PowerMeter, YouTube, Web History, Buzz and Profiles. You should also be aware of two other details not specific to early adopters: support limitations and “conflicting accounts”. Additional applications beyond the core suite are not covered by Google Enterprise support or the 99.9% uptime guarantee. However, many services have self-service online help resources, and a subset (such as AdWords) offer enhanced support options. Finally, a small fraction of Google Apps users have created personal Google Accounts based on their organization’s Google Apps email addresses. Users in this situation will need to rename these “conflicting accounts” during the transition process, and we’ll help these users make the necessary changes. So...if you understand the limitations and would like to transition users to the new infrastructure, sign in to the control panel. If you use the control panel in English and meet our other early adopter eligibility criteria, you’ll start seeing a notification in your dashboard in the next few days where you can get started. You can begin with a handful of pilot users, and then transition your whole organization once you’ve had a chance to kick the tires. If any of the current limitations are problematic for you, or if your organization isn’t eligible yet, hang tight and keep an eye out here for the next phase of our roll-out. We’re excited to help you move to the new infrastructure too, and we’ll be ready for you soon! For more information, please explore our Help Center documentation for administrators and for end-users. Back in May we shared details about a big change so Google Apps accounts can start accessing dozens of Google services beyond the core suite of messaging and collaboration apps. This change will let users access many new services such as Blogger, Reader, Google Voice and calling-in-Gmail (US only), Picasa Web Albums, AdWords and iGoogle from their Google Apps accounts. This big improvement addresses 9 of the top 20 requests from customers in one fell swoop, so we’re thrilled that the new infrastructure is now open for early adopters! After accounts are transitioned to the new infrastructure, these customers will be able to tap into much more innovation happening all across Google, helping people be even more productive with a broader range of tools in the cloud.